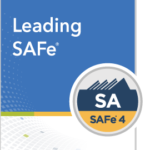 During this two-day course, you will learn the principles and practices of the Scaled Agile Framework® (SAFe®), how to execute and release value through Agile Release Trains, and what it means to lead a Lean-Agile transformation at enterprise scale. 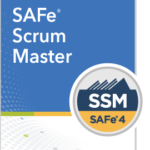 In this two-day course, you’ll gain an understanding of the role of Scrum Master in a SAFe enterprise. 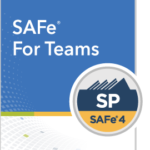 This training focuses on the fundamentals of team-level Scrum, the context of the entire enterprise, and prepares you to successfully plan and execute the Program Increment (PI). 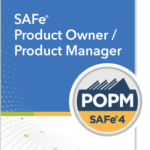 In this two-day course, you will learn how the roles of Product Owner, Product Manager, Solution Manager, and Epic Owner drive the delivery of value in the SAFe enterprise. Also learn about Lean-Agile mindset, and an understanding of how the Product Owner and Product Manager roles operate in the enterprise to drive the delivery of value. During this two-day course, you will gain an in-depth understanding of the ART, how it delivers value, and what you can do to effectively perform your role using Scrum, Kanban, and XP, and build your skills as a high-performing team member of an Agile Release Train (ART). During this two-day course, you will learn how a Product Owner represents the interests of the stakeholder community to the Scrum Team. 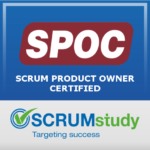 You will be awarded the Scrum Product Owner Certified (SPOC™) certificate by SCRUMstudy upon successfully passing the certification exam. 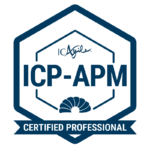 Scrum Master Certified (SMC™) professionals are facilitators who ensure that the Scrum Team is provided with an environment conducive to completing the project successfully. 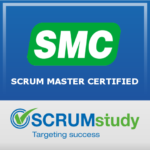 You will be awarded the Scrum Master Certified (SMC™) certification by SCRUMstudy after passing the certification exam. 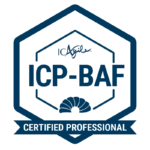 The ICAgile Certified Professional in Business Agility Foundations (ICP-BAF) is intended to jump-start the organizational and individual transformation towards a more responsive, value-driven reality. This two-day course focuses on core components of the agile project manager role as distinct from the traditional project manager, and on equipping the learner with strategies and techniques for successful Lean and Agile project implementation.